Supreme Court has recently ruled that a Judge can recall the Order and change his mind even though the draft copy is signed and dictated in the open Court. In Kushalbhai Ratanbhai Rohit & Ors v. The State of Gujarat (SLP (Crl.) No.453 of 2014) the Bench comprising of Justices B.S. Chauhan, J. Chelameswar and M.Y. Eqbal took a view that in certain circumstances the Order can be recalled and altered even if it was dictated in the open Court. The petition was filed against the interim Order dated 27.12.2013 passed by the High Court of Gujarat at Ahmedabad. Petitioners were Police Constables who were in charge of escorting an accused in Narcotics Case. Accused absconded from the custody. The petitioners were charged and found guilty for the offence punishable under Section 222 Indian Penal Code. Petitioners preferred an appeal before the High Court and at the first instance the appeal was allowed on the ground that sanction of the State Government under Section 197of the Code of Criminal Procedure, 1973 was necessarily required for the conviction. Later the Order which was dictated in open Court acquitting the petitioners was recalled by the Court suo moto and directed the appeal to be reheard. 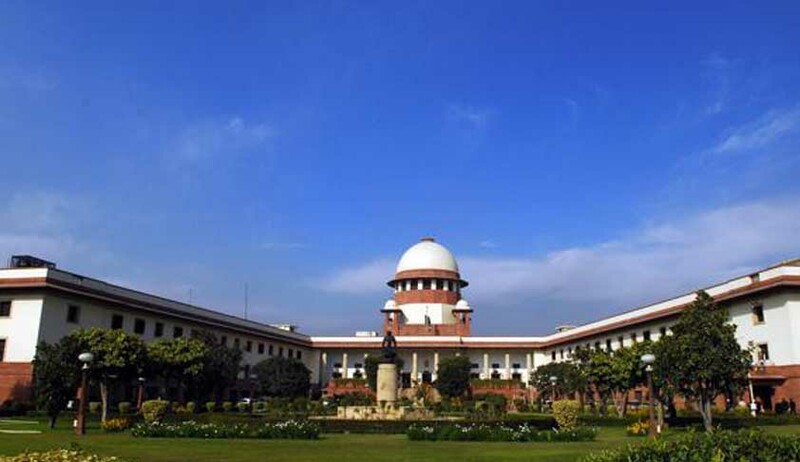 The Order was recalled on the ground that the Court wanted to examine the issue further as to whether in the facts and circumstances of the case where the accused had been police constables; the offence could not be attributed to have been committed under the commission of their duty where sanction under Section 197 Cr.P.C. would be attracted. Petitioners contented that Section 362 Cr.P.C. puts an embargo to call, recall or review any judgment or Order passed in criminal case once it has been pronounced and signed. Court relied upon its own decision in Sangam Lal v. Rent Control and Eviction Officer, Allahabad & Ors which the Court came to the conclusion that until a judgment is signed and sealed after delivering in Court, it is not a judgment and it can be changed or altered at any time before it is signed and sealed. “Now up to the moment the judgment is delivered Judges have the right to change their mind. There is a sort of 'locus paenitentiae' and indeed last minute alterations often do occur. Therefore, however much a draft judgment may have been signed beforehand, it is nothing but a draft till formally delivered as the judgment of the Court. Only then does it crystallise into a full-fledged judgment and become operative. It follows that the Judge who "delivers" the judgment, or causes it to be delivered by a brother Judge, must be in existence as a member of the Court at the moment of delivery so that he can, if necessary, stop delivery and say that he has changed his mind”. “A Judge’s responsibility is very heavy, particularly, in a case where a man's life and liberty hang upon his decision nothing can be left to chance or doubt or conjecture. Therefore, one cannot assume that the Judge would not have changed his mind before the judgment become final”.